CMB Has a New Family Member! 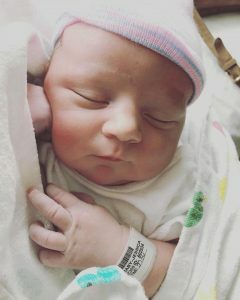 Congratulations to CMB’s Multimedia Manager, Jessica Arrendell as she and her husband Brian, welcomed a new little baby boy to their family this morning. Davis Scott was born at 7:36am weighing 9lbs 2oz and is 22in long. We are so excited for this new addition to the CMB family!